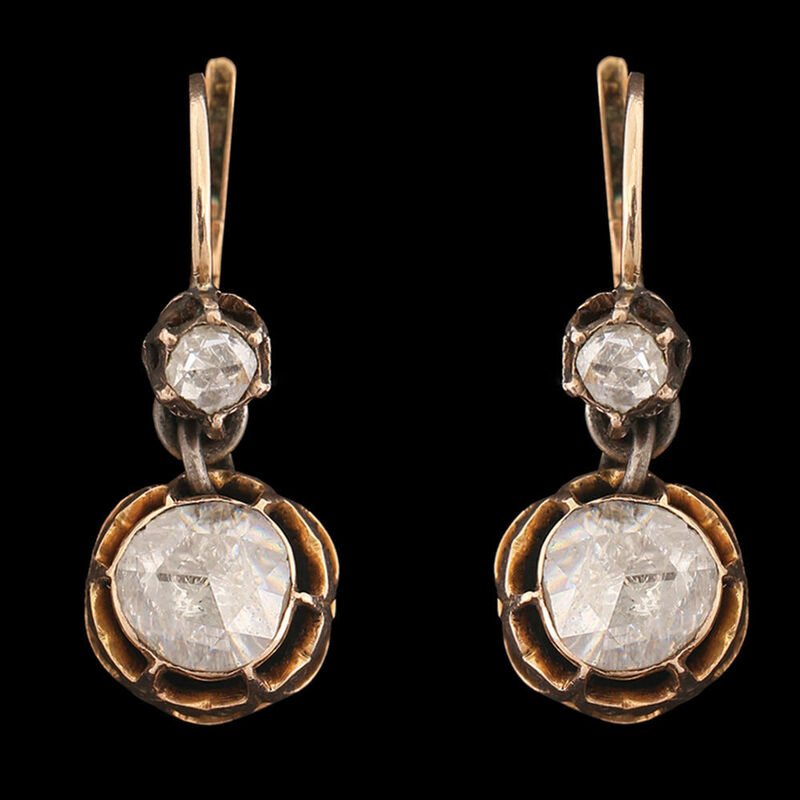 composed of a round element set with an old cut diamond, bearing a larger Rosette shaped gold decorated element, set with a larger old cut diamond. Total diamond weight is approx. 1.50ct.